The quality of fruit is a very important measure in determining the market value of the fruit. Good fruit quality provides great potential benefits for antioxidant properties of abundant bioactive compounds such as flavonoids, anthocyanins, polyphenols, and ascorbic acid. Therefore, giving enough attention to fruit quality and its changes is important for assuring high quality of fruits. Hyperspectral imaging (HSI) technique has showed great potential for evaluating quality attributes of fruit due to its nature of simple, continuous noninvasiveness and economy. However, for inherent peculiarity of fruit, some problems arose in the practice of estimating fruit quality by HSI, including focusing, determination of scanning parameters, image processing, data mining, and data analysis. 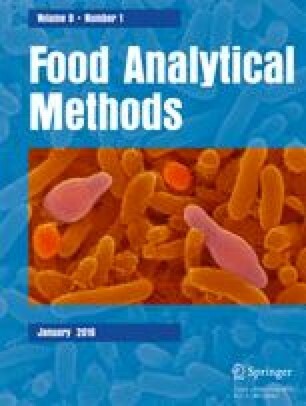 The purpose of this paper is to review the use of HSI in the estimation of physical-chemical attributes, detection of common defects and contaminants, and evaluation of maturity stage of fruit. Remaining problems are also identified, along with suggested solutions and possible future trends in the field. The authors gratefully acknowledge the Guangdong Province Government (China) for its support through the program “Leading Talent of Guangdong Province (Da-Wen Sun).” This research was also supported by the National Key Technologies R&D Program (2015BAD19B03), the International S&T Cooperation Programme of China (2015DFA71150), the International S&T Cooperation Projects of Guangdong Province (2013B051000010), and the Natural Science Foundation of Guangdong Province (2014A030313244). Nan-Nan Wang declares that she has no conflict of interest. Da-Wen Sun declares that he has no conflict of interest. Yi-Chao Yang declares that he has no conflict of interest. Hongbin Pu declares that he has no conflict of interest. Zhiwei Zhu declares that he has no conflict of interest. This article does not contain any studies with human or animal subjects.